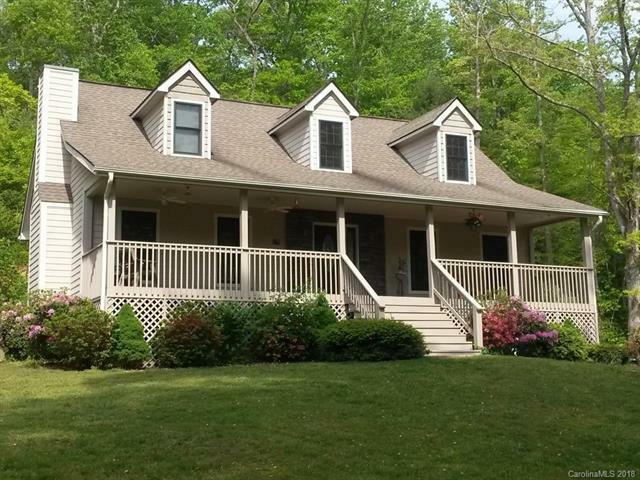 5.64 acres with a creek, Wonderful 3 bed 3.5 bath home on a finished basement just minutes from downtown Saluda. Great room with fireplace, Large kitchen, dining room, all with hardwood floors. Master bedroom on main, hardwood floors, updated master bath. Two guest bedrooms on 2nd floor. 2 bonus rooms and full bath in basement. Newly painted covered front porch, outdoor deck, and over 1 acre fenced yard.